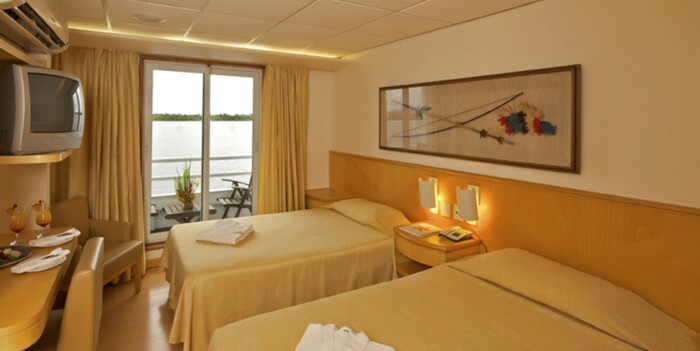 The M/V Iberostar Grand Amazon is a luxury cruise ship that will take you on an unforgettable cruise along the Amazon River, with the comfort and excellence that distinguish Iberostar's service. 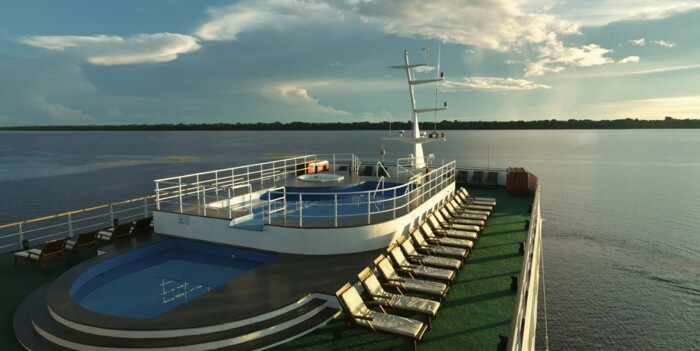 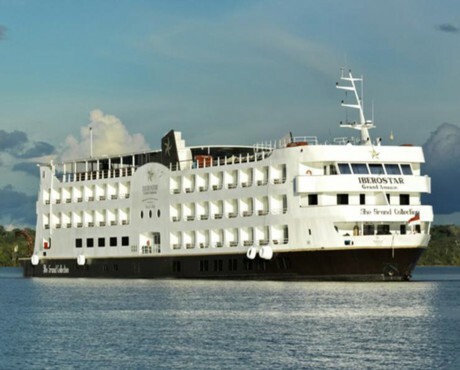 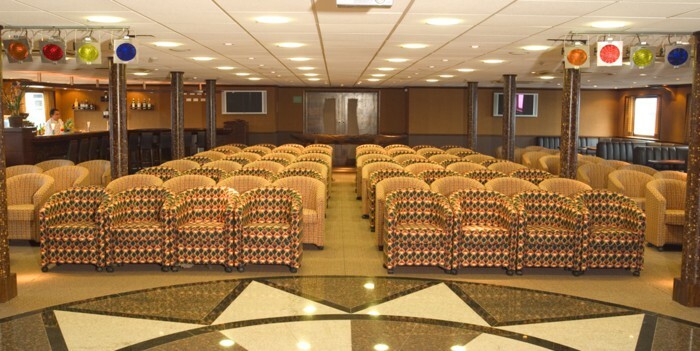 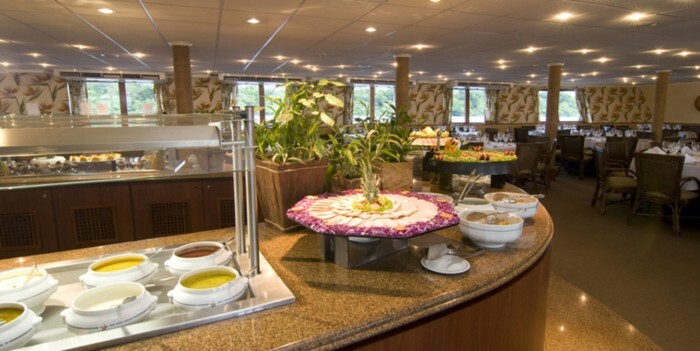 On this journey along the course of the Amazon River, you will enjoy all the modern conveniences on a luxury cruise ship, including exclusive bars and restaurants, a wide range of entertainment activities, a conference room for conventions, shops, swimming pools, Jacuzzis, a disco and more. 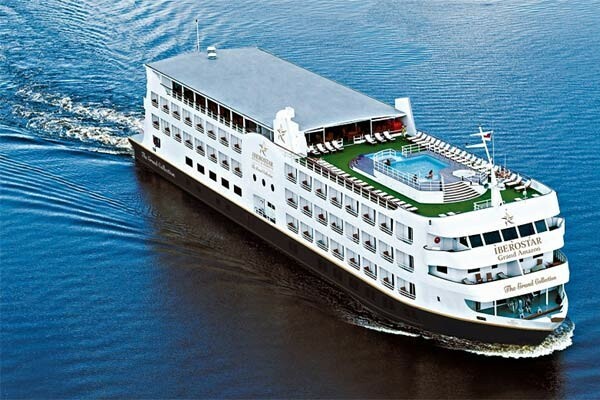 Experience the tropical rainforest and the fascinating environs of the Amazon River on this trip deep into the jungle while you luxuriate in the comfort of a five-star hotel. 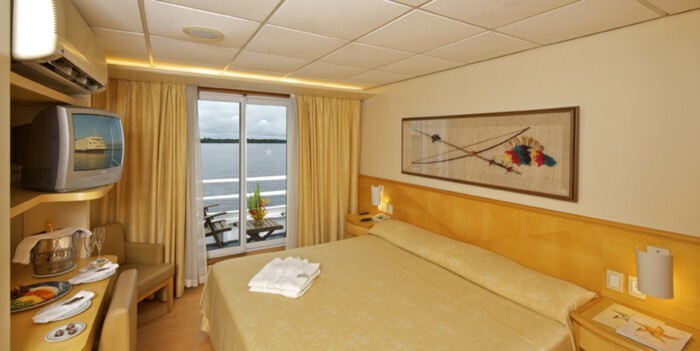 There are 72 Deluxe Balcony Cabins and two Deluxe Master Suites.